While the ACCC concluded the acquisition will mean readers in the regions have ‘reduced choice’ in publications, overall a sufficient range of local news choices and advertising options would remain. 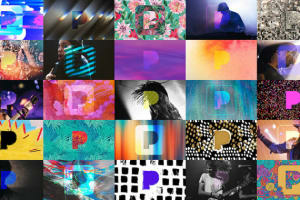 Pandora has lifted the lid on its long-touted premium tier – likely to be priced at US$10 per month – which allows users to select the songs they want to hear, as opposed to tuning into a radio mode. In a similar vein to Spotify, Apple Music and – let’s not forget the old-timer - Rhapsody’s Napster, the ad-free, on-demand streaming platform give users opportunity to save music offline. The new service also boasts smart playlists, a personalised search based on listening history, and browse sections based on personal taste. Previous Pandora listening data will also become part of Pandora Premium’s recommendation engine. Alcohol retail group Liquor Marketing Group (LMG) has appointed Havas Australia as its agency of record, following a competitive pitch. The agency will work across the group’s Bottlemart and SipnSave brands, which will undergo brand refreshes. Havas' initial remit will be to drive relaunches for both the Bottlemart and SipnSave brands that are taking place simultaneously this month and will filter through all LMG touch points, including press, in-store, trade, web and social. The new campaigns will roll out today. Radio ad revenue increased 5.5% in November 2016 to $72.411 million, according to the metropolitan commercial radio advertising revenue, sourced by Deloitte. T includes direct and agency sales. The Sydney market showed strong growth up 11.11% to $23.006m, Melbourne was up 4.63% to $21.591m, Brisbane rose 5.4% to $11.322m, Perth was up .32% to $10.101m and Adelaide was down .89%to $6.391m. In the financial year to date, (five months) the total market is up .23% to a total of $336.480m, Melbourne is up 1.43% to $104.266m, Sydney up 1.17% to $104.123m; Brisbane up .77% to $52.653m; Adelaide was down 5.80% to $29.712m and Perth slightly down 1.02% $45.726m. The Australian Competition and Consumer Commission (ACCC) will not oppose the proposed acquisition by News Corp of Australian Regional Media from APN News & Media. News Corp successfully entered a $36.6 million bid to purchase the APN Australian regional newspapers in June. While the ACCC concluded the acquisition will mean readers in the regions have ‘reduced choice’ in publications, overall a sufficient range of local news choices and advertising options would remain.